Louise Maria Austin is my 3rd great grandmother. Let me tell you about her. Born – 21 June 1838, Suffield, Hartford, Connecticut. Sailed – 1846, on the Ship Brooklyn from New York City around Cape Horn to Yerba Buena (San Fransisco). Wagon Train – 1848, traveled from California to the Salt Lake Valley with the Ebenezer Brown Company. 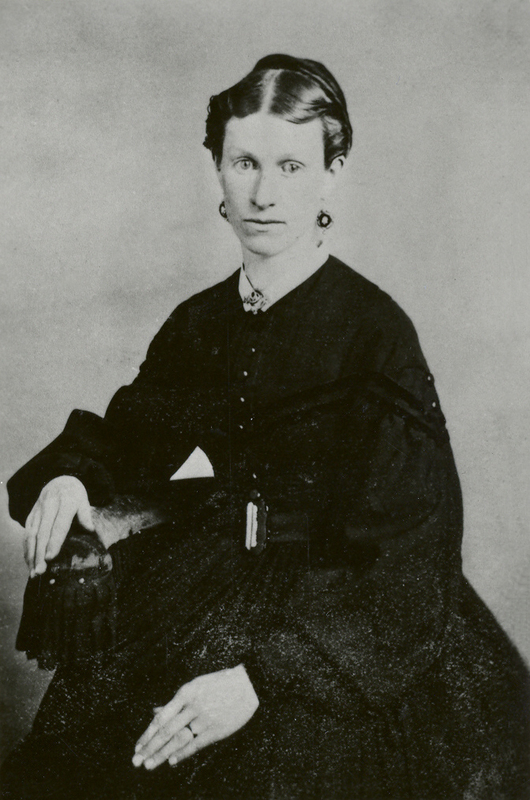 Married – 12 April 1860, to Joseph Thompson Cheney in Farmington, Davis, Utah. 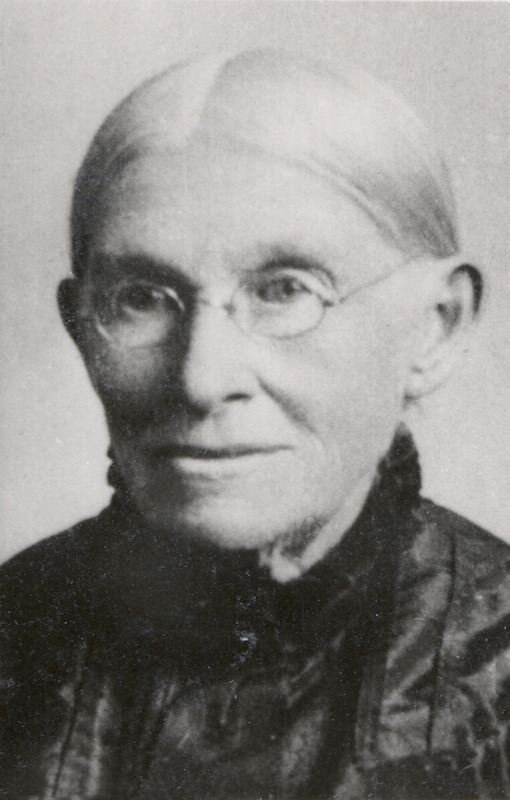 Widowed – 30 September 1897. Died – 26 April 1927, Laketown, Rich, Utah. Did she find her great ocean voyage exciting, frightening, adventurous, boring, all of those? What challenges did the wagon company face? She was so young for both of these journeys. She made several moves after she was married. A few of them are only briefly mentioned. I wonder what prompted them to move and then ultimately move back to the Bear Lake Valley. Has any of her handwork survived? I would love to see anything she made. How did she get by for the last 30 years of her life as a widow in a harsh mountain town? The full text of the history of Louise Maria Austin Cheney written by her daughter can be found here. Do you have any Mormon Pioneers in your tree? How did they travel? How amazing to have a photo from so far back! I see a lot of blogs with the “52/52” theme. How did that get started? I think it ‘s a good way to discipline a blogger to get something out there on a regular basis. My problem would be which 52 to pick!! And I agree with currentdescendent about those pictures…truly amazing! I agree on the discipline it instills. It has caused me to consider each person I write about in a different way. Choosing is the tricky part for sure! And thank you, I feel very blessed to have such an old photograph – even if it is just a scan.